Problem: Your deck is more on the narrow side, not allowing for wide or overstuffed furniture. Solution: A poly lumber bench can solve this because it isn’t too wide and can be as long as you need. 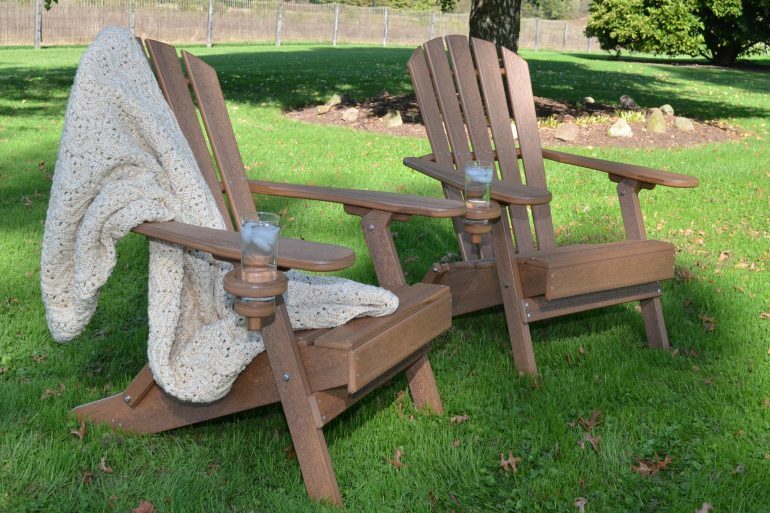 Our standard bench sizes run from 48” all the way to 96” long and are available in multiple collections so you can choose the size and style that fits your patio. If you’re furnishing a smaller space, select a backless bench. By not having a back/arms, the bench won’t take up any extra space than you need it to and can double as a plant holder when not in use. 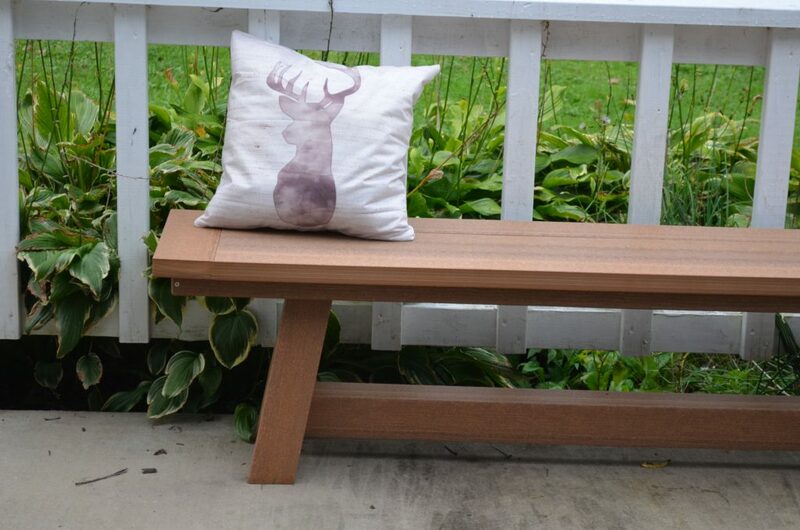 For a rustic farmhouse look, like the one pictured here, check out the Montauk Collection Backless Bench. Problem: Your only outdoor area is a small balcony that doesn’t leave a lot of space for entertaining. 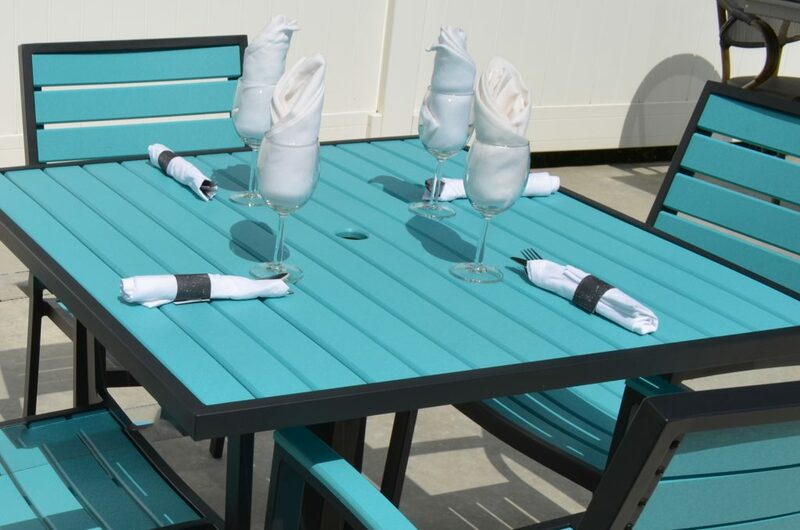 Solution: Try an aluminum-framed table top and matching side chairs that use poly lumber slats to add personality. Finding the right table top to fit your space is relatively simple because you’re buying a specific size. Choose from round or square shapes and the chairs to match. For a smaller space, we recommend side chairs because they don’t have arms, so they take up a little less space. 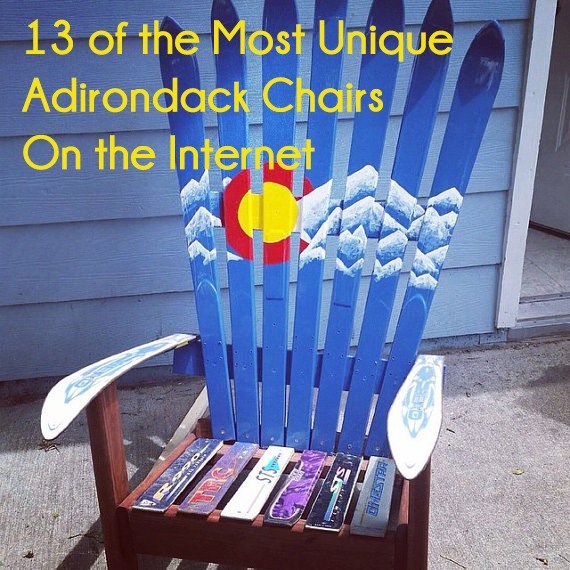 Also make sure to find chairs that stack so they can be easily put away for storage when you don’t have company over. And since poly lumber is more durable than other outdoor materials, it can be left outside in the winter. For a modern look, check out the Caribbean Dining Collection. 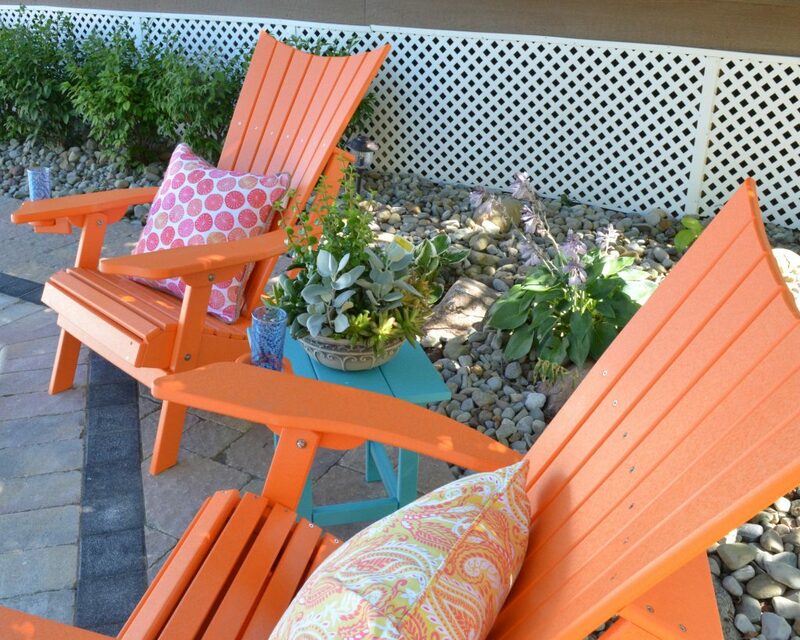 Problem: Your outdoor space is too small for cushy deep seating. Solution: Go for slimmer cut furniture and add your own soft touches like pillows and blankets. For a sleek, comfortable look, check out the Value Line Adirondack Chair. Problem: You’re trying to create the ideal spot for having drinks outside on your patio, but there isn’t a lot of room for a coffee table. Solution: Add a side table between seats that can handle the essentials. With small spaces, there just isn’t a lot of room for adding bulky or unnecessary furniture. Coffee or conversation tables cover more surface area than you have to give, making the patio crowded. Using a side table next to chairs instead of taking up the central area can be the solution you need without adding bulk. For a classic addition to your outdoor furniture, check out the Outer Banks Square Side Table. If you have a smaller space, poly lumber may seem like it’s too large to use on your patio. Don’t let your lack of space diminish your creativity because, when used wisely, poly lumber can work in any area. Do you have any tips for small outdoor spaces? Let us know here or in the comments!